A smart Dunfermline café-deli and wine store is holding a series of events and tastings over the coming year—including Italian and Spanish evenings, cheese and wine tasting, and musical events. Reuben’s, which officially opened last November, has grown particularly popular with the lunchtime and nearby Alhambra theatre crowds. The menu includes charcuterie, home-baking, cheese platters and salads, as well as hot foods such as haggis and stovies. 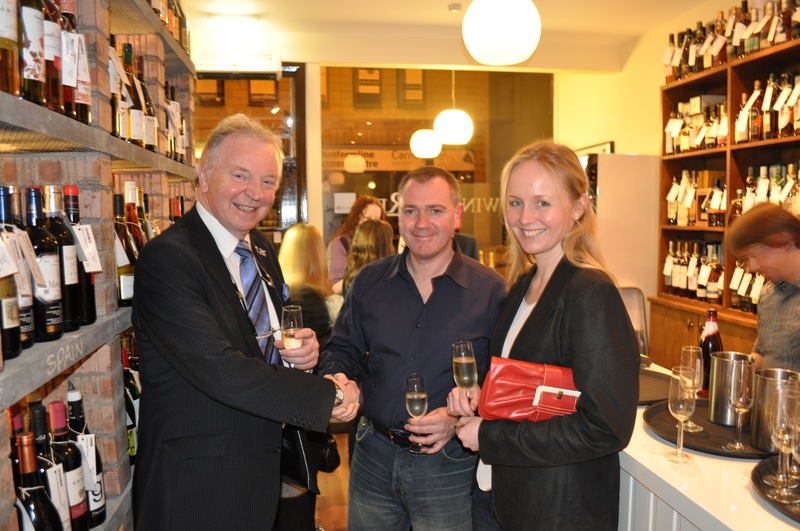 As the city’s only independent wine store, Reuben’s specialises in personally selected wines, fizz, spirits and ales. Stock evolves according to demand, and staff are always on hand to offer expert advice. “I’m always keen to see local businesses succeed. David’s, in particular, is a small business with big ambitions. It really is unique in Dunfermline and fills a niche, as well as being a relaxing, quality place for anyone to enjoy a pleasant lunch or an evening. “David set up Reuben’s in difficult economic times, which requires a lot of drive, hard work and initiative. He really is pulling out all the stops and making it work. As well as a wonderful opening night, which was a great success, the tastings and events are proving a hit. “What I actually think Reuben’s does best is the warm, personal touch that’s so often missing these days. It’s the kind of place where staff remember you and make you welcome, and where you can choose excellent food and wine tailored to your tastes.